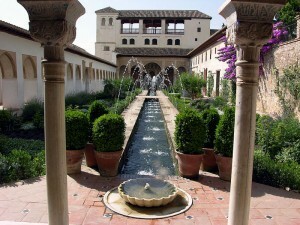 Part three of a series on themed landscape design explores Spanish gardens and design elements of Italian gardens. First off, let’s cover Spanish gardens. When you call in a landscape design professional to plan a Spanish garden, ultimately, you want to remember that with such a garden, less is more. Like a Zen garden, Spanish gardens are based on simplicity. But what about one of the roots of such gardens? An Italian garden, also known as a Roman garden is based upon a walled off central courtyard. They are designed to be refuges from the outside world, and are meant to be peaceful and serene spots as a result. You don’t want an Italian garden in a planned community as your HOA would almost certainly object. When you are planning to make some changes to your landscape, think about what fits your home as well as your lifestyle. 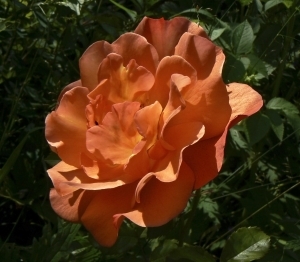 An English country garden is beautiful, but it needs a LOT of water, the same with a rose garden. Xeriscaping is beautiful in it’s own way, but it isn’t for everyone, particularly if they’re nostalgic for back home. Ultimately, whatever you decide, the right landscape design company can help. This concludes our three part series on themed landscape design. Be sure to read part one and part two as well. Part two of our series on themed landscape design explores the gardens that are found in the Desert Southwest. Be sure to read part one and part three of this series as well. Sometimes themed landscaping is more than just what flowers to plant in the fall, or how far apart you should put them. Sometimes, you want to add a touch of charm. Living in a major metropolitan area like Phoenix, it is easy to forget that Arizona was a cowboy state, and very much part of the Old West. Don’t believe us? Ever heard of Wyatt Earp? How about Tombstone or the Lost Dutchman? How about creating a space that captures the romance and bravado of the Old West. How? Well, think about the Old West: dusty streets, magnificent buttes, railroads, lone campfires in a desert landscape. Hmm, desert landscaping. That would seem to be a great place to start. And make no mistake it isn’t just dry, boring plants and the odd cactus. Think about the brilliant gold of a California poppy, or the rich orange of an ocotillo. Desert lupine and hummingbird trumpets have amethyst purples and carnelian reds. And sandstone boulders add a nice earth tone touch to bind it all together. For a whimsical touch, put a wagon wheel in a bed of white poppies, or maybe line your flower beds with railroad ties. However, it isn’t just railroad ties and xeriscaping that can make a southwestern garden. Maybe have a container garden with brightly painted Mexican pots, or maybe a rusty iron sculpture of a coyote. It is the little whimsical touches that can transform your garden from drab to exciting. Part one of a series on themed landscape design will explore the gardens of Asia and the Near East. First off though, let’s explore China and Japan. Be sure to read part two of this series as well as part three. First off, though, what’s the difference between a Chinese garden and a Japanese garden? Chinese gardens are themed landscape designs that are over three thousand years old. Chinese gardens can be vast, like for those of the Imperial Family, or they can be small and intimate places that are designed for both peace and as a temporary respite from the outside world. Whether large or small, however, a Chinese garden is supposed to convey a message that harmony should always exist between nature and mankind. In a way, a Chinese garden is like a living story, separate from the outside world. Walls always enclose Chinese gardens and there are a combination of paths, rocks, flowers and pavilions. Sometimes, there are water features as well. 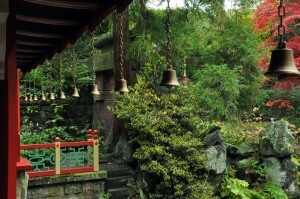 By moving through the garden, visitors get to see a series of scenes. All Chinese gardens, like their Japanese counterparts are very serene places. A Japanese garden does differ from a Chinese garden in a lot of ways, as far as themed landscape design goes. Japanese gardens originally were Chinese gardens, but over time, they started to develop their own unique style, and have been unique for over two centuries. A lot of Japanese gardens for example originated with the Shinto religion, and as such have several common threads. First off, there are unusual rocks in a Japanese garden, as well as white pebble paths. The white of the pebbles symbolizes purity, as well as simulates a dry riverbed. One thing that is interesting about these gardens is how diverse they are. The Moss Garden in Kyoto is a classic Japanese garden, as is Kinkaku-ji, and so is the Zen rock garden of Ryōan-ji, and each of them is vastly different from each other. Some of them are just for asethetics, and others for meditation and contemplation. And you can also have one on your property too, as part of landscape design with a theme. Knowing what flowers to plant in the fall will help you to enjoy them in the fall and in the spring as well. This article will explore which plants work best for Arizona. Let’s start with bulb flowers. There is an old saying “to get tulips in the spring, you need to plant bulbs in the fall.” Okay, there is no old saying, we made that one up. It is true however, that you want to plant bulb flowers such as tulips, irises, daffodils, crocuses, and narcissus, as well as amaryllis in the fall. If you buy your bulbs in advance of your planting time, keep them in a cool dry place. Temperatures higher than 70º F. can damage the small seedling inside the bulb. A lot of spring blooming flowers grow from bulbs that must be planted in the fall, while annuals that prefer cooler temperatures are planted in early fall. Some example of non-bulb flowers that grow in the autumn include mums, zinnias, and petunias. Consult a landscape design professional for tips on what flowers to plant in the fall. Depending on your needs, you can either grow fall annuals in containers or plant them directly in your garden. Container displays are easy to clean up when the season is over, while you’re going to have to do a bit of digging to take out fall flowers. Regardless of whether you’re looking at bulbs or seeds, you want to make sure that the location you’re looking at is suitable for the type of flowers you’re planting. In selecting a site for planting bulb flowers, be aware that bulbs need full sun. Pick a site with at least five hours of direct sunlight each day. In Arizona, make sure that you either consult a landscape service regarding how much water you’re going to need, or look up information about the amount of water they’re going to need. When in doubt, a good rule of thumb is once a week. You want your garden to be beautiful. Flowers are a definite morale boost. So start out with a bit of knowledge. Know what flowers to plant in the fall. Winter ryegrass overseeding is something that you’re going to have to start soon to transition your lawn. As for why, it is all in the type of grasses that are present. Why Do I Have to Do Winter Ryegrass Overseeding? Grass is one of the most diverse types of plants out there. Most people don’t know that such plants as palm trees and bamboo are actually giant species of grass, and of course what’s on your lawn is also grass. However, in the winter, warmer weather grass goes dormant, leaving your lawn a barren yellowish white color. There are two types of winter ryegrasss, perennial ryegrass, and annual ryegrass. Regardless of the type of ryegrass, they provide a green cover during winter. Be aware, however, that winter ryegrass overseeding may cause you some problems in the spring, unless you take care of it properly. 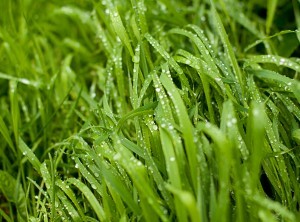 Ryegrass competes with other grass types for water, sunlight and fertilizer. When you do overseeding with ryegrass it is adabtable to either sun or shade. If you get annual ryegrass be aware that you plant it in the fall. Also, annual ryegrass dies out in late spring. Perennial ryegrass is another option for winter ryegrass overseeding, however, be warned that it can choke out other grass species. Whatever type of grass you’re looking plant, you’re going to have to do some preparation first. First off, as temperatures begin to drop in the fall, your turfgrass will need less water. Remove any excess thatch to allow seed to make contact with the soil. A heavily thatched lawn tends to result in irregular patches of overseeded grass, so mow the lawn closely. With winter ryegrass overseeding, timing is everything. Overseeding should be done thirty days before the first frost, when daytime highs are near 70 °F and nighttime lows are usually above 50 °F. If you seed before this narrow window or after, you could lose your ryegrass. When you plant winter ryegrass, apply 10 pounds of annual ryegrass seed per 1,000 square feet. Even a winter lawn requires a bit of maintenance. You can do it by yourself if you wish, or as a labor saving step, call in a lawn care service. Lawn care has come to mean a lot more than just fertilizing and watering. You also have to know what type of seed to plant, when to plant it, and in some cases, when to remove it. 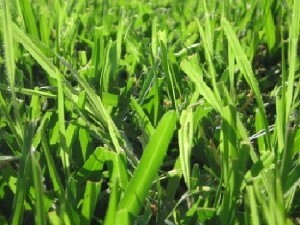 In part one of our two part series on lawn care, we will cover artificial lawns versus natural ones. Part two of our series will cover winter lawns and overseeding. Originally, artificial grass was created for sporting arenas. Because many of them were domed, grass would not get enough sunlight and would often die out. Astroturf was made in the 60’s and covered the field of the Astrodome. Now we are four generations later on artificial grass, which is a good thing we might add. It used to be that artificial grass looked, well, artificial. When it was first released, synthetic grass was often in an unnatural shade of green. Nowadays, with new technologies, synthetic lawns have come to resemble their living counterparts. And there are several advantages of artificial turf over regular grass. Artificial turf obviously doesn’t require water, and it helps to control insects including some harmful ones like mosquitoes. As it is usually made of plastics and resins, it is also immune to termites. Another thing is that artificial grass offers is stain resistance, as well as obviously no weeds. However, it also has disadvantages too, such as you pretty much have to replace it every few years or it will be very obvious that you have it, as it will become sun bleached and brittle. And some people want more. To some people, artificial grass is a weird idea. A lawn should be green and growing, and fun to walk on. It evokes memories of hot summer days, the smell of fresh cut grass. 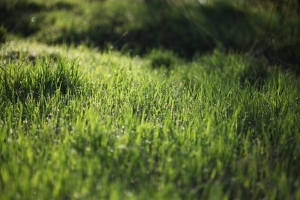 A natural lawn has all of that, plus it can lower the temperature of your home by being a natural repository for water. However, just like synthetic turf, lawn has its minuses too. First off, you’re going to need to mow it, and water it, and every now and then put down water to keep it green. Each person is different, so why should our lawns all be the same? So whether you want some fescue or bluegrass to scrunch between your toes or a low maintenance artificial lawn, it’s all in who you call. The best call to make is to a lawn care service. Be sure to read part two our series on lawn care as well. Landscape design in Chandler isn’t just about what flowers to plant in fall, or how much to water. Sometimes, it is also about ingenuity as well. Some people may wonder why anyone would want to convert a yard to desert landscaping would be a good idea in a place as hot as Arizona. Well, while lawns are beautiful green spaces, they are also fairly labor intensive as well as cost intensive. If you have a lawn, for example, you can expect to pay up to 10% higher water bills per month from having to water your lawn. Hiring a service saves you labor, but doesn’t necessarily save you money. With people having to make cutbacks, one solution involves changing their yard over to something more economical. yard conversions have started to rise. Most housing tracts and commercial centers are already starting to incorporate desert landscaping. 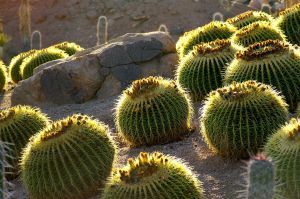 It’s merely a matter of removing lawn, laying down gravel, putting a few boulders around, and planting a cactus or two or some desert plants. However, it isn’t just desert landscaping that you can convert a yard to. Maybe you don’t want to go desert on your landscaping. 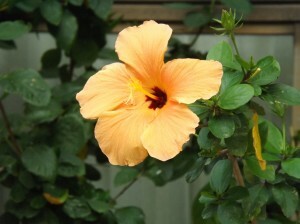 Well, did you know that you can turn your yard into a tropical oasis of landscape design. Whatever, you decide, make sure you do it right. Having a lawn isn’t for everyone. If you want to cut back on your water bill, and are no tired of mowing your lawnl, don’t make it a crater, make it into something else. Convert your lawn to an area that has landscaping instead. Sprinkler repair helps you avoid the dreaded yard fountain. Fixing your sprinkler helps you to avoid trouble your HOA. Landscape design Chandler doesn’t start with calling a service. You have to do a bit on your own too. Landscape design really does start with you as a homeowner. Why? Well, you have to make decisions based on a lot of factors, some of which are practical, some legal and some aesthetic. Let’s start with the practical side first. If you’re looking into a landscape remodeling project for your home and you are someone who loves being outside, you’re going to have different needs than someone who can’t be outside that much. So one thing you want to consider is how much maintenance your project is going to need after it’s been set up. If it needs a lot of water, or regular watering, you may wish to get an irrigation drip system installed in addition to your landscaping. Now, let’s look at the legal issues. You may not be able to landscape your home exactly the way you want because of various rules. Homeowner’s Assocations or HOAs have a mixed reputation. On one hand, they try to keep property values up by imposing rules and regulations regarding the appearance of property. 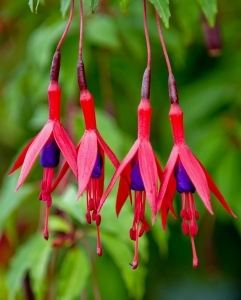 On the other hand, they can also be intrusive as to what you can plant and where. If you live in a HOA controlled housing tract, you will have to review your rules and make sure that any landscape remodeling that is to be done fits in with the rules that you were most likely a party to. One of the reasons that HOAs are often rigid with their rules leads us to our final point: aesthetics. If your home is stark metal and glass with Zen like simplicity, getting a plant that is ostentatious and over the top will ruin the dynamic of your home. If your home is grandiose, a plant that’s too subtle can get lost with all the other visual elements that are in place. 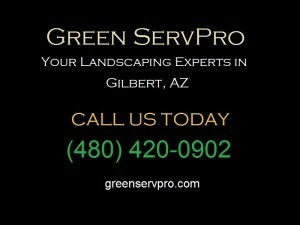 So as you see, it is a good idea to call in a landscape design service in Chandler. Synergy literally means that all the parts combined are greater than the parts as a sum. How this relates to landscape design is fairly straightforward. Let’s say part of your property is down with an Old West Motif. You’ve got a wagon wheel, and maybe a cow skull. Perhaps you have an oxidized iron cactus or cowboy silhouette. You also have rocks and desert plants. Now, however, you want to do a landscape remodeling project and redo part of your landscape with a Chinese motif. Well, problem solved. If you know anything about the history of the west, you know that Chinese workers were part of that history. So you can tie them together and have a lot of your guests get that delighted expression on their faces when they figure out your landscaping. See, alone, the elements of Old West and China don’t work, until you tie them together. And that is synergy in motion. Whatever you go for design wise, make sure that you know the care and upkeep of it. Landscape remodeling means that whatever your new design is, you’re either going to have to take care of it, or hire a landscaping company to do it, otherwise, what starts out as a design ends up in overgrown and weed choked chaos. One of the things that you have to think about is that you are not locked into your design. There are no “landscape police’ out there, save for the odd HOA that’s super restrictive about what you can and cannot do to your property. If you feel like adding something more, then you are free to do so. There are several ways by which you can make your garden more interesting. You can use rock sculpture or fountain. But always ask for assistance when you need it from a landscape design service. Part two of a two part series explores landscape remodeling. Principles of landscape design include a fair amount of synergy, and knowing what works as well as what doesn’t. What makes a memorable landscape is the little touches. A garden can be made beautiful with the help of grass, wood, flowers, rocks, ponds, and fountains. If you want to make your garden more natural, you should go for fewer rocks and more plants. However, if you do not want to spend a lot of money and time on maintenance, then you should go for hardscape or rock gardens.. Whatever you choose,wen it works it really works, and when it doesn’t well, it is more infamous than great. The Disneyland Hotel is a prime example of this. When the Disneyland Hotel went through landscape remodeling because the park expanded, it took away a lot of the charm, leaving a lot of fans of the place disillusioned. You obviously don’t want your own landscape remodeling to illicit a similar response. To be fair, you’re also most not dealing with 10 acres, but still the principles are applicable even for a smaller property. Your taste should always be considered when you’re consulting with a landscape design service. If you love the cultures of Asia, then an Old West motif would not fit your needs. Or if you love desert landscape, then an English country garden wouldn’t be right either. Whatever your design, make sure you have accessibility in mind too. Accessibility includes things that link elements of your landscape remodeling project together such as pathways, and elements that serve as a bridge. So, start getting an idea in your mind of what you want to see. Then get on the phone to a landscape design service to make it all come alive for you. When most people think of remodeling, they concentrate their efforts on the inside of their home, however, your home is not just the rooms you have, it is also the landscaping around your home as well. Landscape remodeling is a strategy that’s often neglected or forgotten about. Are you thinking of bringing life to your dull lawns? Do you dream of entertaining your friends in your stunning home garden? Instead of keeping on renovating the interior of your home, why not try something different; improve the landscape of your house. Having a beautiful pool, beautiful flowers, and probably a fountain can prove to be much more than just inviting for your visitors; it can also be used as a relaxing lawn for you to run away from your worries. There are several ways by which you can remodel your landscape. But should you do it yourself, or call in a service to do it for you? Even though you can do it by yourself, it is recommended that you let an expert landscape design company do the work for you and bring your dreams to reality. A general idea: After you have decided that you want to improve the landscape of your home, the first thing that you need is to prepare a layout or a rough sketch. In the rough sketch you should at least try to make a general outline of how you would want your lawn to look like. In the layout you can separate areas such as ponds, dining spaces, sitting area, fountains etc. When preparing the sketch, you have to be creative. You can also use the internet to look for more ideas. You can proceed to the next stage only if you are satisfied with the rough layout for your landscape design. Landscape remodeling is another form of this, as it takes existing elements and either replaces them or puts in features to complement them. All forms of landscape design are basically a bridge between architecture and designing garden space. Psychologically garden space is very valuable. An old saying is that a “thing of beauty is a joy forever.” Landscape design is a proven way of relieving stress, by giving you something positive and beautiful to look at. Can landscaping really make that much difference? Well, people with high morale have a proven lower stress ratio. And pride in your home or property is a great way of achieving morale. So, keep your home clean, and redecorate when you can afford it. And one of the best ways that you can redecorate is to get landscape design services done. 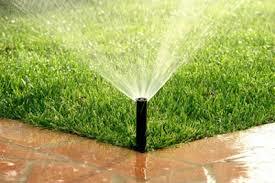 Sprinkler repair helps to repair a sophisticated pressure system: your sprinkler. You want to keep your sprinklers in good condition for a lot of reasons. If you need to repair your sprinkler, it’s never a good idea to wait. Why? Well, for one, your Homeowner’s Association may decide to fine you. Homeowner’s associations are usually in place to keep property values up, even though sometimes they fail miserably. Regardless, if you are violation of the agreement that you signed when you purchased the home, such as a sprinkler in need of repair, you could face fines of up to $500. In addition to the HOA, you may find that you are also in trouble with the city in terms of damages, and an inordinately high water bill next month. So sprinkler repair is not a “I’ll get around to fixing it problem.” There is another set of reasons you want to fix it as quickly as you can. Water can damage untreated concrete, as well as decking and patio furniture. It also can ruin plants that are sensitive to too much water, such as cacti or succulents. So the cost to repair your sprinkler in Chandler may be actually cheaper than replacing your plants, decking or concrete. Water that is left standing also acts as a perfect magnet for termites, which obviously you do not want eating away at the foundations of your home. Water puddles also are breeding grounds for mosquitoes, and also draw cockroaches and other pests including rats and pigeons. So, every time you turn on the sprinkler, you’ll get a yard fountain as well as flooding on your property. Too much water can also kill your lawn, and leave you with a mud bog instead. All of this can come from a broken sprinkler. So as you see, leaving problems for a better time is rarely a good idea. And doing sprinkler repair should be towards the top of your list. First thing you should never do where good lawn care is concerned is to over-fertilize. Read the instructions on your fertilizer carefully. Too much fertilizer, particularly chemical fertilizers can burn your lawn, killing the grass. You also need to be aware of when and when not to fertilize your lawn. You never want to fertilize a lawn that has just been watered for example, as it can also lead to chemical burns. As to when to fertilize your lawn, it depends on the species. If you have a Kentucky bluegrass, fescue or perennial ryegrass, you usually have to fertilize four times a year, twice in the spring, and twice in the fall, never in the summer. The combination of the higher temperatures and the chemicals present in the fertilizer can lead to burning. You also want to make sure that you water correctly as well as fertilize. Smart lawn care includes watering. 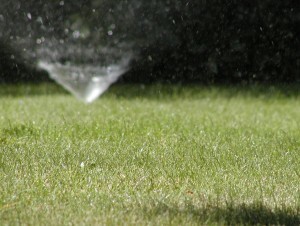 Always make sure you water your lawn and give it the appropriate amount of water for the type of grass you have. Grass from cooler climates need more water in Arizona than warmer temperature grasses like Bermuda grass. The heat of the summer can bake moisture out of your lawn, so remember to water in the evening after the sun’s gone down or in the very early morning before sunup. This will help to keep the moisture on the lawn longer, and stop evaporation. Besides watering and fertilizing, know how often you should mow your lawn. A good rule of thumb is every ten days. When you are mowing your lawn, make sure that you don’t cut your grass too short to avoid damaging the plants. Make sure you carefully weed your lawn too. While some garden ‘experts’ advocate simply mowing your weeds down along with your grass. As a professional lawn care service in Chandler, we generally don’t advocate this strategy as by mowing the weeds, you can also disperse their seeds and spread the weeds to other part of your lawn. Hopefully this post has cleared up some common misconceptions about how to take care of your lawn.